Shopping is not something that we all are so good at and if you are good at it then you just don’t have to worry about anything. Wedding shopping’s can be even more tiring than normal shopping because you have to consider a lot of things when it comes to the type of wedding the couple is having and with your role in the wedding you have to be careful about everything. If at any wedding your daughter has been asked to become a flower girl then you have to take care of a lot of things since she will also be the part of the wedding procession and if you don’t do things right it would be someone else’s most important event in life that will not be perfect. So while you are hopping for flower girl dresses you need to take care of a lot of things and here are the tips on what to do while shopping for flower girl dress. 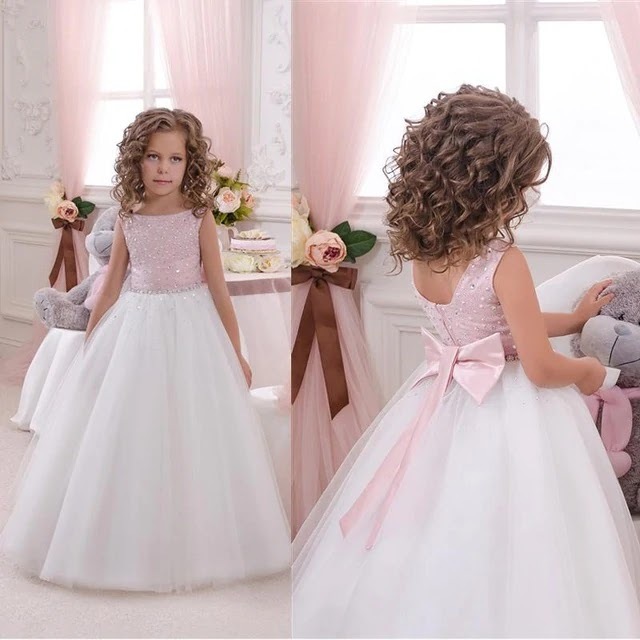 When you are going for flower girl dress shopping you need to know what typeof wedding are they having and what they expect their flower girl to look like. If there are other flower girls too then it would be better if you all go together so that the dresses can match and you have to be sure about your daughter’s whole attire and don’t make any spontaneous decisions. When you are finally going on shopping take your daughter with you too. Even though it would be even more exhausting for you with your little daughter around but you just have to bear with that so that she can look perfect at her aunt’s wedding. If you are with other flower girls’ parents then you need to buy the shoes etc. on that day too or at least decide on what type of shoes your daughter will be wearing on the wedding. When it comes to toddler flower girl dresses it is very important to try it on and that is why bringing your daughter is important. While shopping for the dress if the wedding is not any time near then you have to buy address that is a size bigger your daughter will grow into it by the time of wedding because you don’t want to waste a dress just ear the wedding because your daughter grew out of it. Other accessories should be appropriate to the theme too. You have to buy comfortable as well as cute shoes for your little daughter and hairpins or crown that will look good on her. Now when you are all done with the wedding you have to prepare your daughter for it. If she is old enough to understand make her understand her role and meaning of the flower girl tradition and try to make her feel excited about it and the dress too.